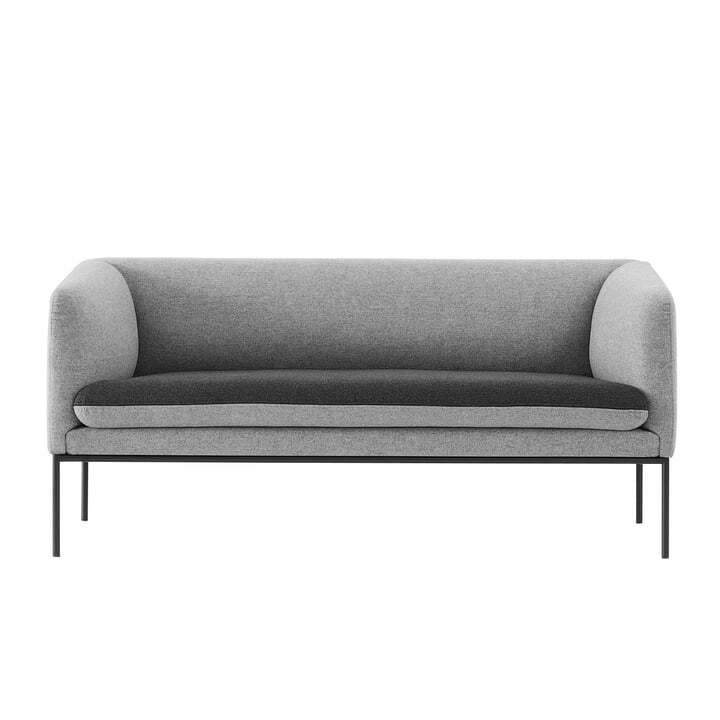 The 2 seater Turn sofa by ferm Living is straight-line, modern and elegant. Its minimalistic yet special special design combined with high-quality materials makes the sofa a cosy piece of furniture for the home. 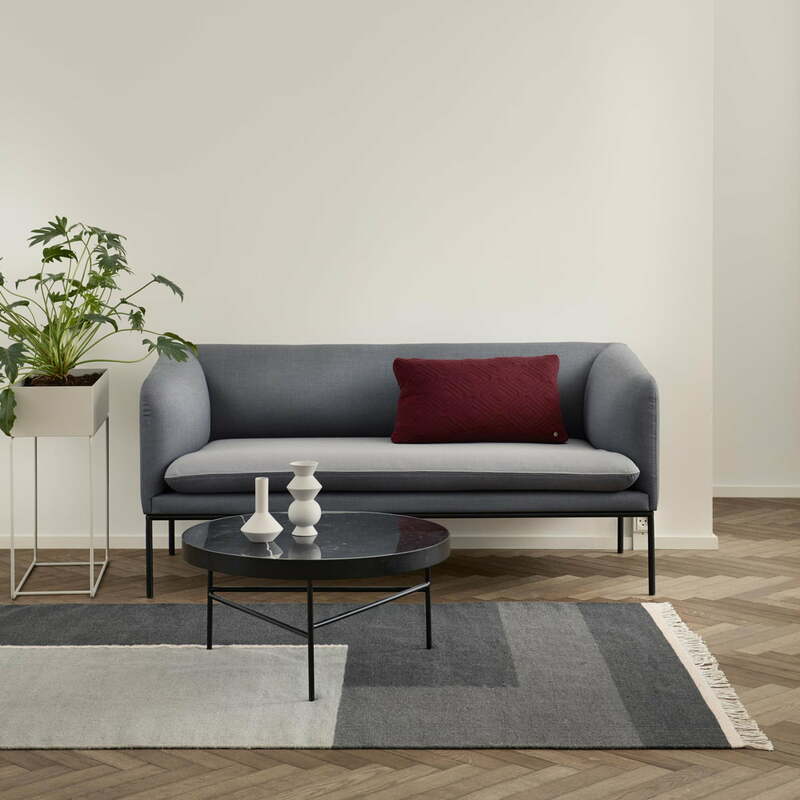 The Turn sofa, designed by the Danish designer duo Says Who is all about contrasts: While the outline of the sofa is made up of straight lines, the inviting cushions have round, organic shapes, ideal for relaxing. Moreover, unlike the comfortable and voluminous armrests and backrests, the frame consists of thin metal feet that provide a certain lightness and a floating impression. Depending on the chosen colour combination, the cushion of the sofa can also contrast the body of the sofa and can be turned over according to your mood or personal preference. 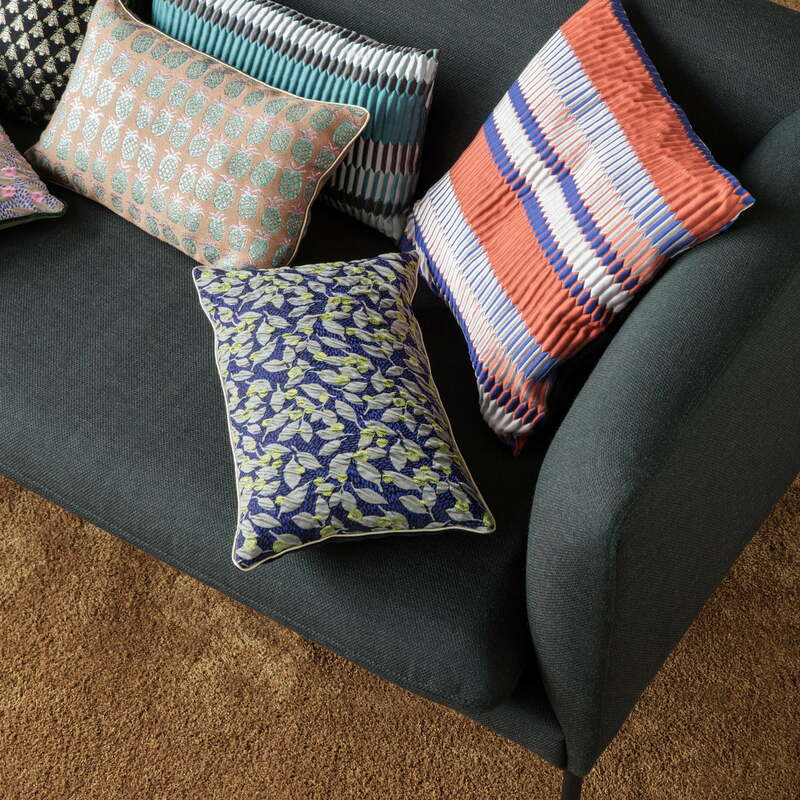 The simple sofa is excellently combined with the colourful cushions by ferm living. With their brightly coloured stripes, the Salon cushions Pleat offer a sharp contrast to the discrete fabric of the sofa. 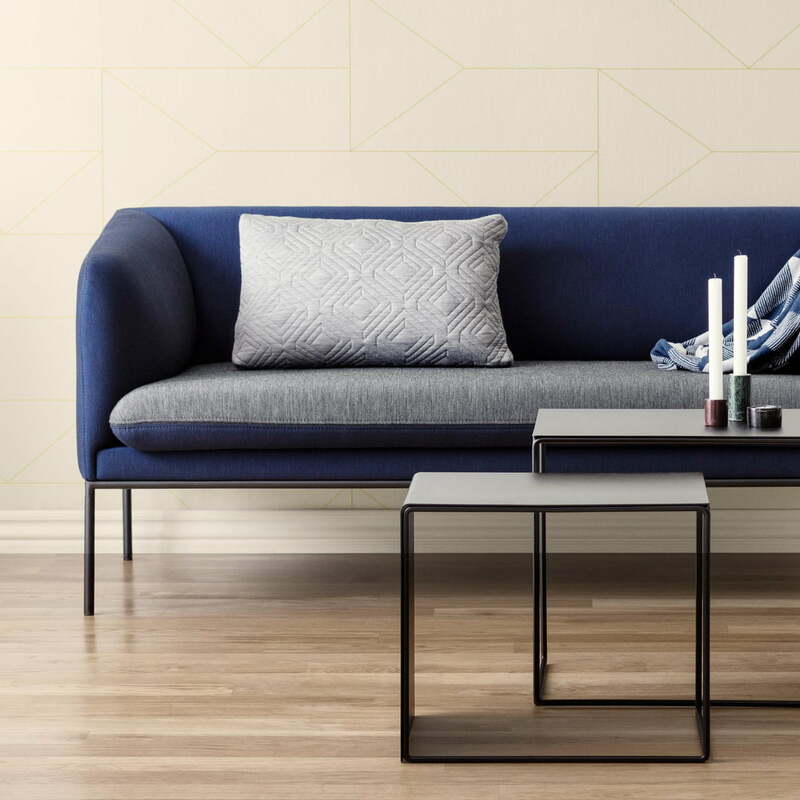 Lifestyle product image of the Turn 2 seater sofa by ferm Living: Filigree metal legs are just one feature that theTurn 2-seater sofa and the Cluster side table by ferm Living have in common. The turn 2-seater sofa is ideal for a small seating area. 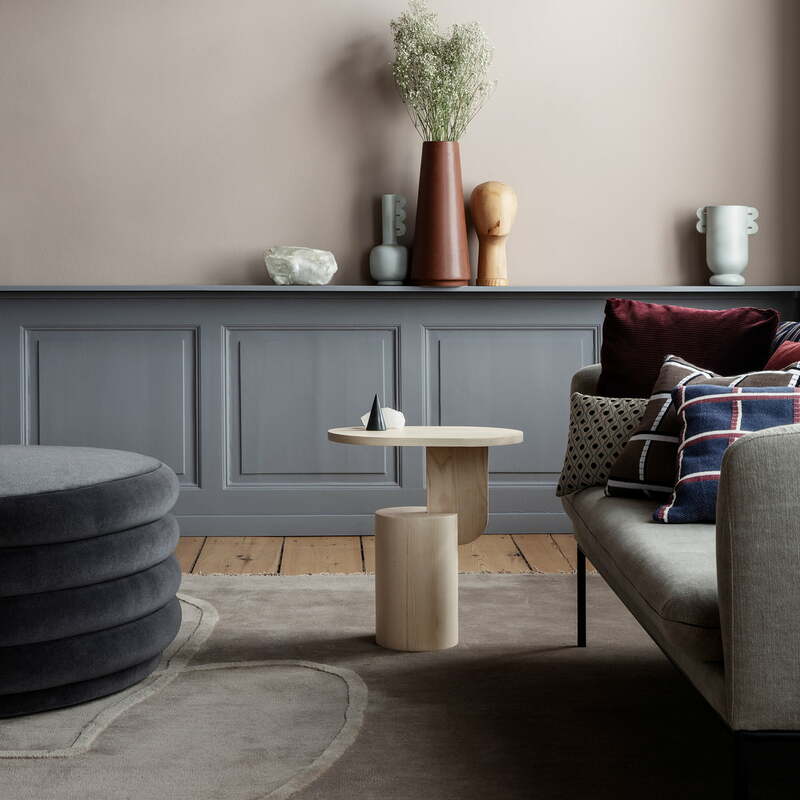 Together with the plant box, the Kilim rug and the marble side table - all by ferm Living - an inviting and cosy retreat can be created. The Desert carpet in the dimensions 140 x 200 cm in sand and the Podia coffee table in dark blue from ferm Living in the ambience view in front of the sofa in the living room. 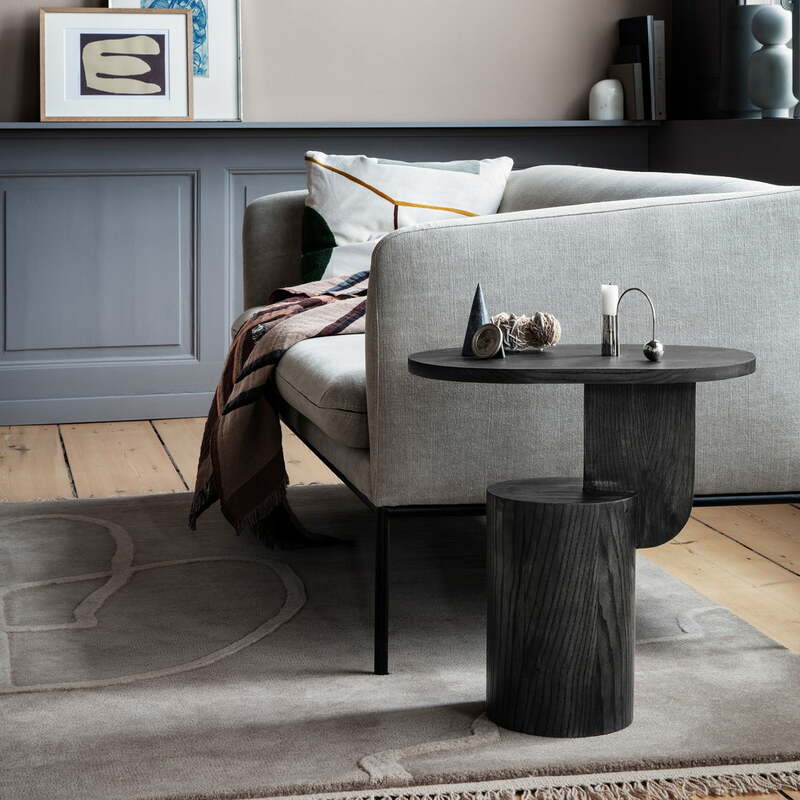 Lifestyle product image of the Salon cushions, the Muses vases and the Insert side table from ferm Living. Cushions, vases and side tables complement each other decoratively. 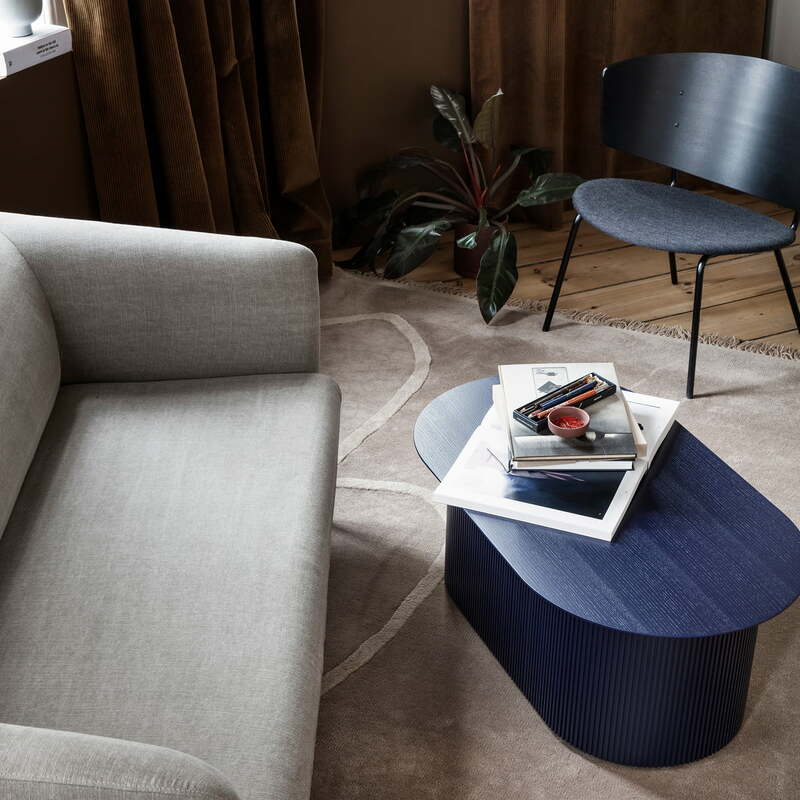 The Insert side table by ferm Living in stained black ash. Beside the sofa the table becomes a decorative storage for candlesticks and other decorative objects.